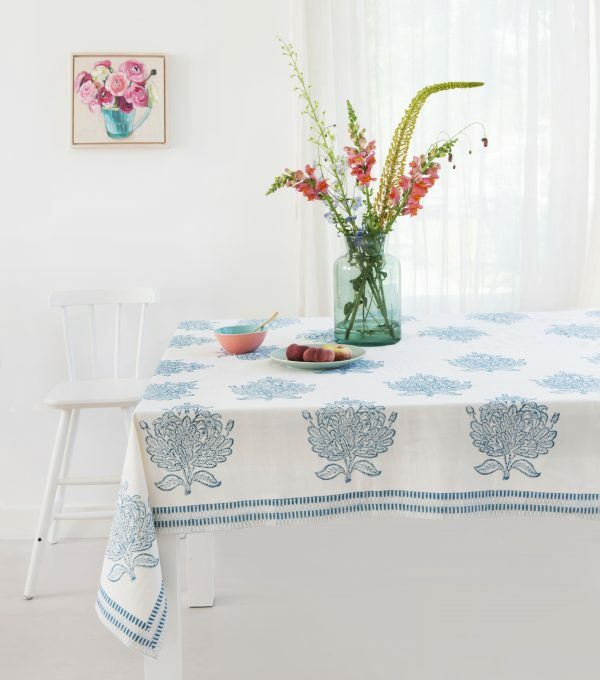 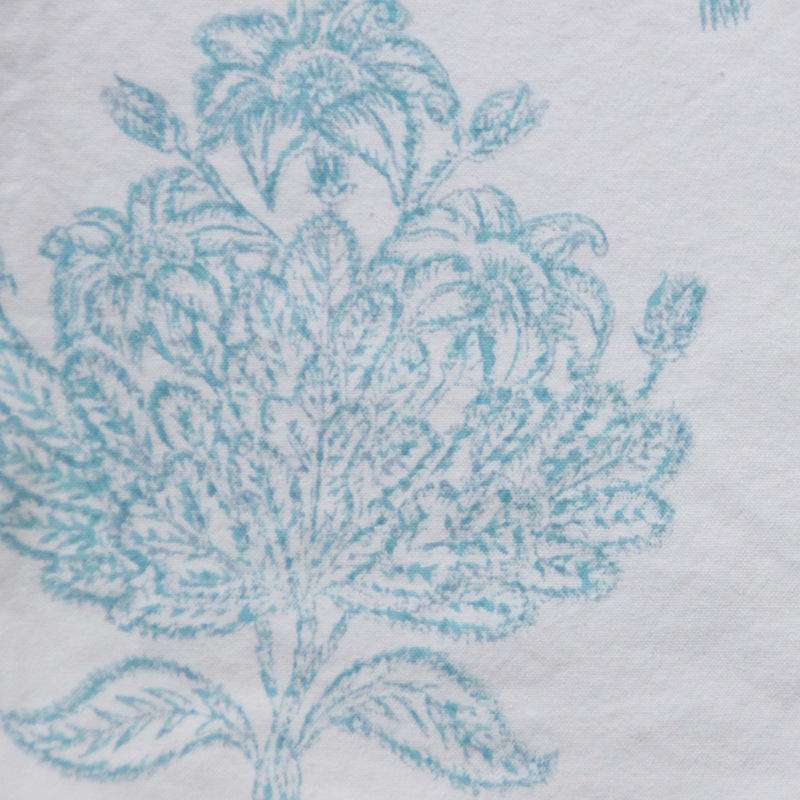 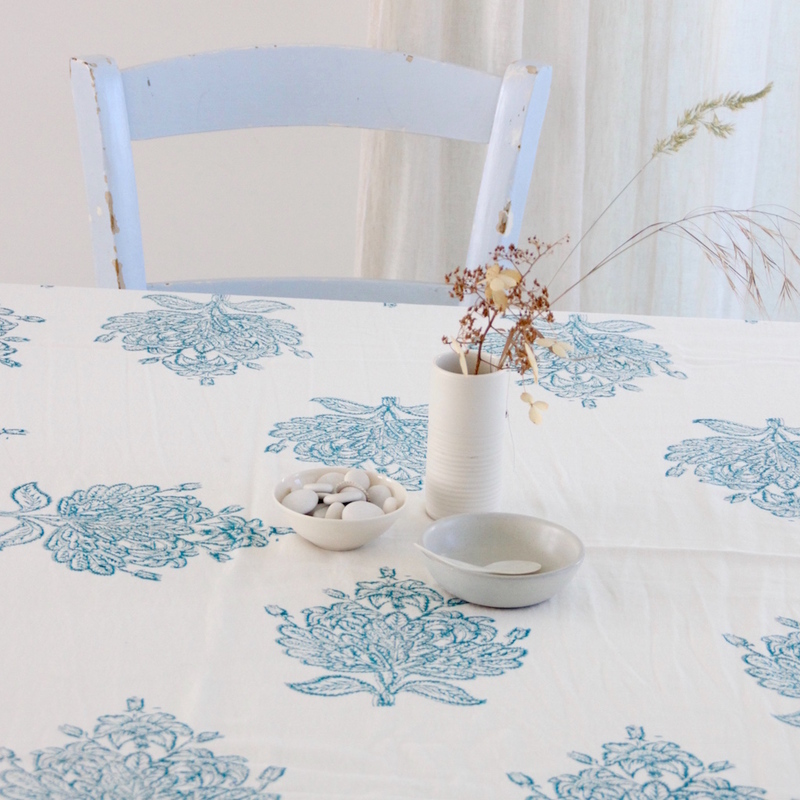 This decorated tablecloth has a beautiful Indian floral print ‘tree of life’, in the colors off-white, aqua blue and gray. 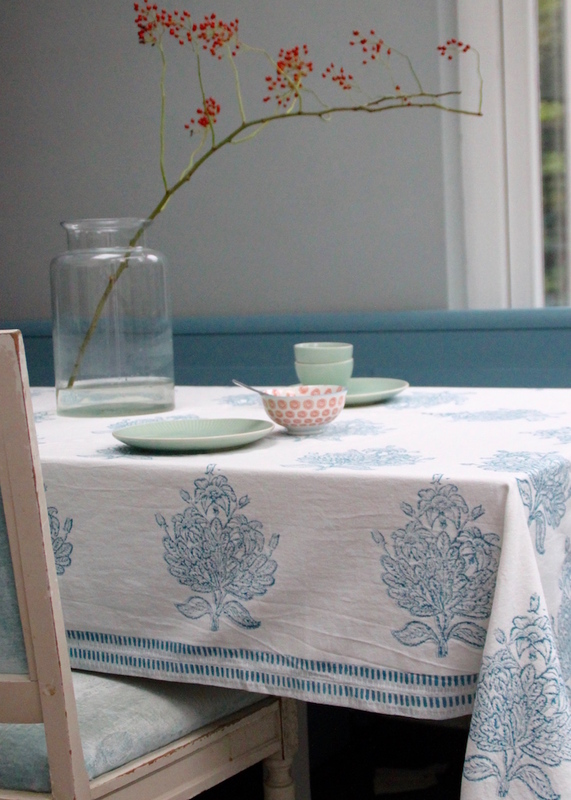 Suitable for the kitchen table or to cheer up your garden table. 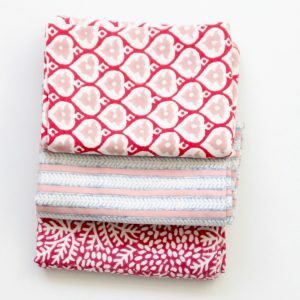 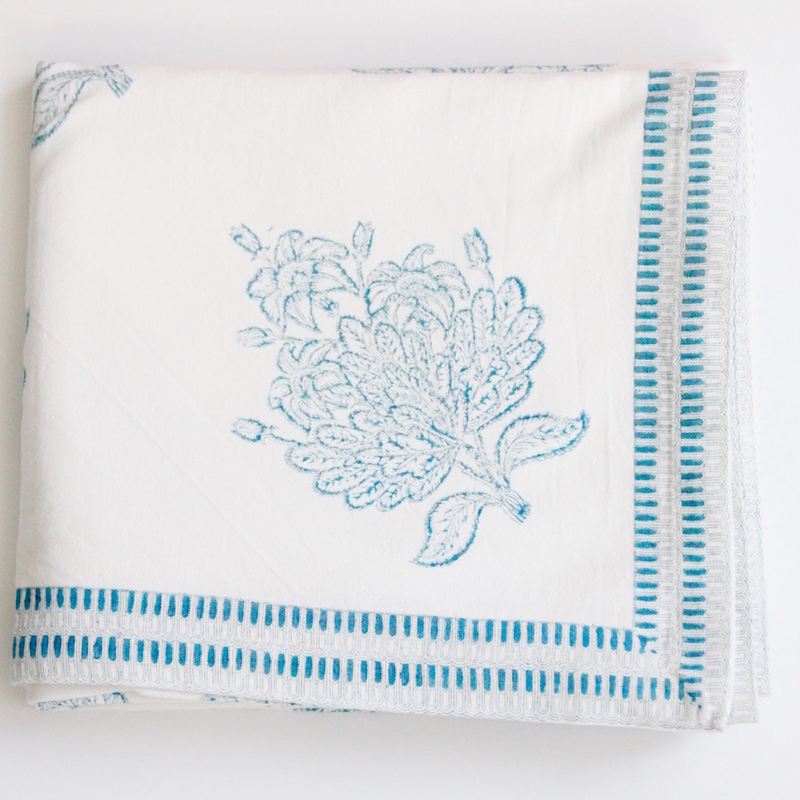 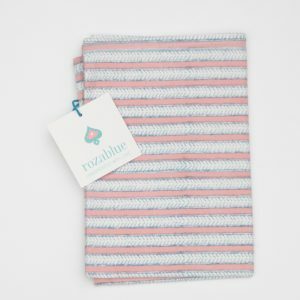 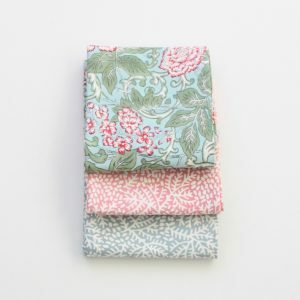 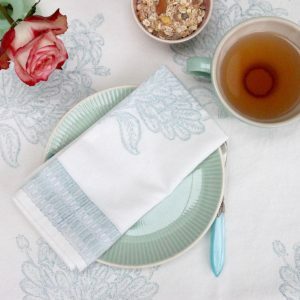 This tablecloth is made of high quality 100% cotton and has a beautiful blue border.